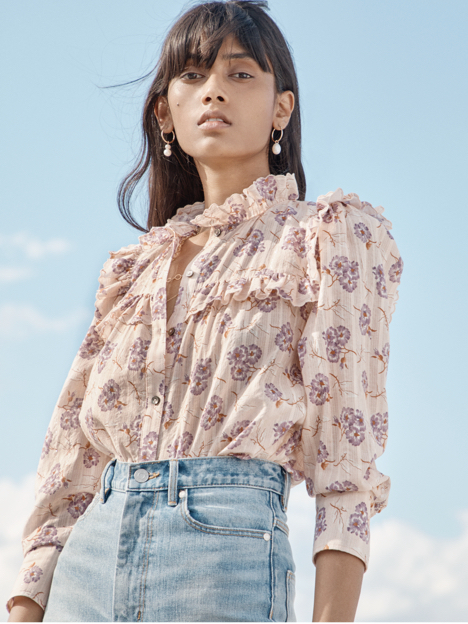 Detailed with custom-developed, vintage-inspired eyelet embroidery, this three-quarter sleeve top makes a romantic statement. Detailed with custom-developed, vintage-inspired eyelet embroidery, this three-quarter sleeve top makes a romantic statement. Its easy silhouette features voluminous sleeves, fluttering ruffles and self-covered buttons.